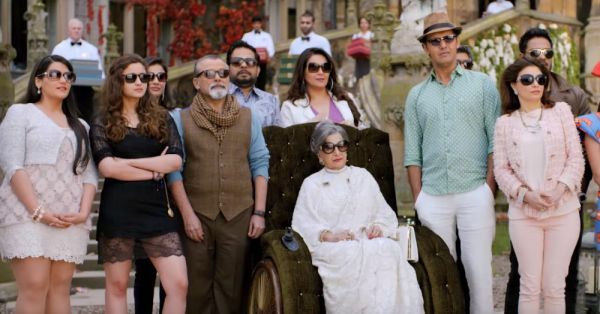 20 Things You’ll ONLY Get If You’re A Family Person! There are some people for whom the love of their family means much more than any wealth or privilege on earth. They're happily willing to give away all that they have for the sake of the well-being of their family members. If you're nodding your head while going through all these points...then you know that you're one of them! You'd pick a visit to Haridwar with your family over the fun trip to Goa with your friends any day! 2. "Don't even dare to say anything against my family!" Because you won't think twice before punching the person hard in his/her face if he/she says anything against your dear ones! 3. "No need for phone reminders, my brain remembers everything!" You remember every single family member's birthday and anniversary... Yes, even your mami ki bhai ki beti ki nanad! And you don't need facebook notifications for them! 4. The family that eats together, stays together! Yes, you do believe in having at least one meal of the day with your whole family together on the dining table. And talking about your day's experiences is a must too! Also read: 10 Things You’ll ONLY Get If You’re A Bua! 5. "Leave it to me..."
You know how to deal with your "joro ke dard se pareshan" 80-years-old dadi maa as well as "kisi ke haath na aane wala" 5-year-old cousin. 6. Hum Saath Saath Hain and Hum Aapke Hain Kaun! It's like these typical family movies were made for you. Exclusively for you! It doesn't matter if you're watching them the 100th time, shedding some tears at the climax makes the movie complete. A big thanks to Suraj Barjatya! 7. And you love it when your house actually looks like a set of one of those movies!! Yup, you've got no issues with a big joint family. You wonder how people survive being alone! 8. "Jis ghar bhi jayegi, roshan kar degi!" These compliments are music to your ears. Also, you become the talk of the town at every family function. Also read: 9 Things You ONLY Get If You’re A Maasi! And you mean it even if you have to postpone an important meeting for the sake of any trivial problems at home. 10. You always look forward to having more and more family functions! And you're the event manager of all of them. Be it bade bhaiya ki shaadi or chhote bhai ka birthday... You're the one who plans everything and invites everyone! 11. You're the love guru. You were the first one to come to know about your cousin's crush - who is an 8th standard student. Yes, they come straight to you as soon as they fall in love as you're the only one they can trust. 12. You're also their confidant. You know all the deep and dark secrets of every single member of your family. And you swear to God never to reveal them! Also read: 8 Fights You ONLY Have With Your Jiju! 13. And the referee in their fights as well! Bhaiya-bhabhi ki fight or dadi-mummy ke arguments... Who would calm them down if you're not there?! 14. Surprise guest visits don't bother you... At all! You believe in the principle of 'Atithi devo bhava'. Their hospitality is your top priority and you will do everything you can to make them feel comfortable. And when they leave with big smiles on their faces, it makes you really happy. Even those "door ke rishteydaars" don't annoy you a bit. 15. "Jab tak tumhari haan nahi hogi... Shaadi nahi hogi!" You don't miss any rishtey wali meeting when it comes to looking for the right bride or groom for any of your family members. Bhaiya ke liye bhabhi, chacha ke liye chachi, didi ke liye jiju - you were the one to set them all up! 16. Once the wedding bells are about to ring in the family, nobody is as excited as you! Joota-chhupayi, choreographing the group dance performance on 'bole churiya' or being the maid of honour - it's all totally your department. Also read: 9 Things You’ll Get If You’re The Favourite Saali To Your Jiju! 17. Being a nurse for them 24/7 is totally okay with you! If anyone in the family falls sick, you're already on your way with a "dadi ke nuskhe wala kaadha" in one hand and the prescribed medicines in the other. Taking good care of them is your responsibility after all! 18. One day you wish to have your own happy family! With lots and lots of children! 19. You wish your better half is a family person too! And this is gonna be the first question you ask those rishta guys! 20. "Who needs friends, when I've my family!"